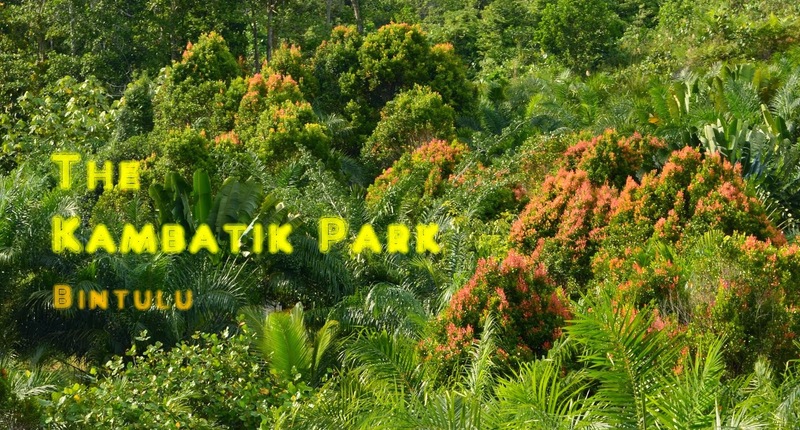 The park is visited by the Crimson sunbird on a daily basis. 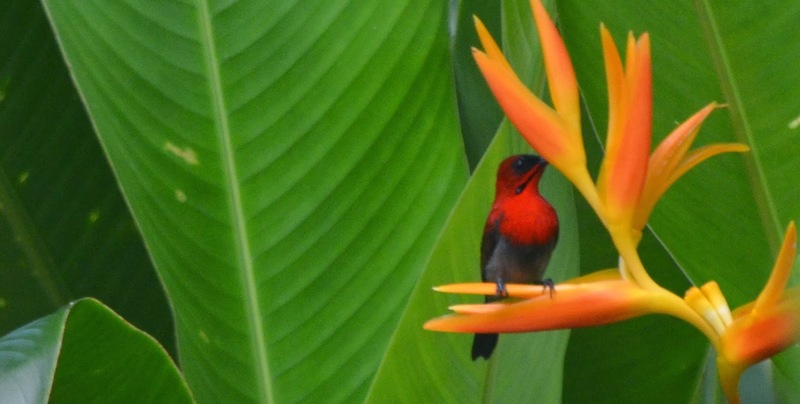 A recent photograph I took showed it resting on the orange bracts of the heliconia psittacorum (parrot flower). 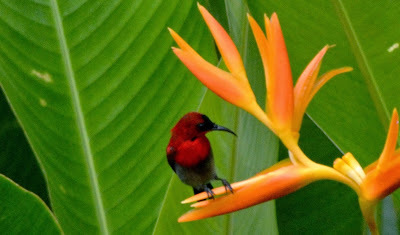 It's small light body was kept stable on the bract and from that vantage point was able to punch the flower to get to the nectar. 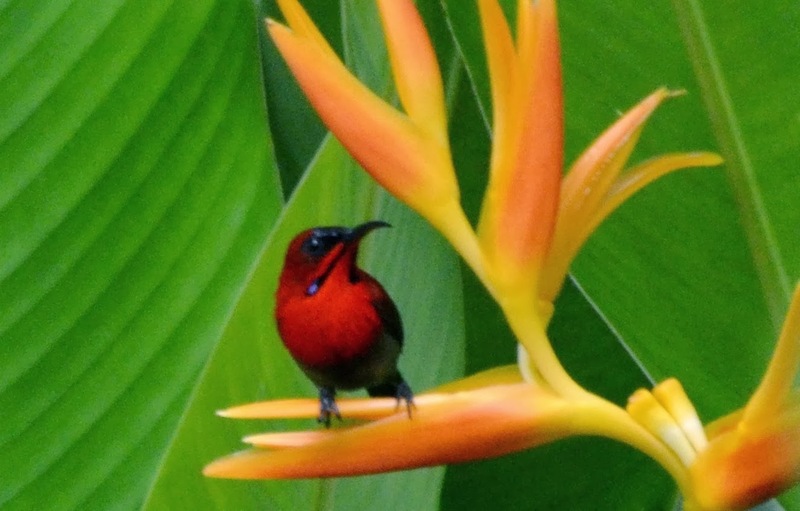 The Crimson sunbird also hunts for small insects, spiders and flies. Besides the heliconia it also takes nectar from the Chinese hat plant (Holmskioldia sanguinea). The Crimson sunbird moves fast and it's very difficult to get them posing a little while for a more stable and focussed image. Here's more images the the sunbird. 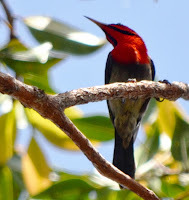 Male of the species are more colourful than the dull olive green colours of the female.